Space design for active, creative learning spaces, makerspaces, and storage ideas. The Language of School Design: Design Patterns for 21st Century Schools – A lavishly illustrated guide to school architecture and designing learning spaces by Prakash Nair and Randall Fielding. Make Space: How to Set the Stage for Creative Collaboration – By Scott Doorley and Scott Witthoft from the Stanford Design School. This book is full of good ideas for all spaces and budgets for changing surroundings to enhance the ways in which teams and individuals communicate, work, play, and innovate. The Third Teacher – Created by an international team of architects and designers, The Third Teacher explores the critical link between the school environment and how children learn, and offers 79 practical design ideas, both great and small, to improve schools. Blueprint for Tomorrow: Redesigning Schools for Student-Centered Learning – Prakash Nair, one of the world’s leading school designers, explores the hidden messages that our school facilities and classrooms convey and advocates for the “alignment” of the design of places in which we teach and learn with twenty-first-century learning goals. The book includes simple, affordable, and versatile ideas for adapting or redesigning school spaces. 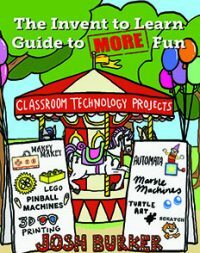 Making a Makerspace – Planning tips and ideas from Sylvia Martinez. Makerspace Storage – Practical ideas for organizing storage in a makerspace from Colleen Graves. Copernicus Mobile Maker Carts – Carts designed for taking your maker supplies on the go. School Outfitters Maker Furniture and Supplies – Flexible furniture and supplies for makerspaces and classrooms.